We recently documented the trials and tribulations of plastic surgery enthusiast Bruce Jenner, compared the shocking before and after photos, now lets hear straight from Bruce himself. Following his second facelift procedure, which was intended to correct his initial botched facelift that occurred almost 25 years prior, Bruce sat down with Access Hollywood for a candid discussion about his cosmetic way of life. 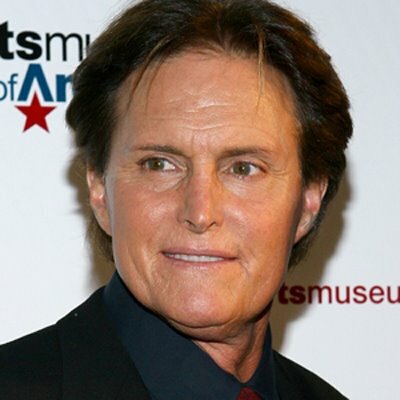 Bruce, alongside his family, explained how the Kardashian clan voted on whether or not he should undergo another facial procedure, and not surprisingly they voted Bruce onto the operating table. Oh, and the plastic surgeon who preformed the operation is a close friend of the family... Shocking! Perhaps the most memorable sound byte of the interview was given by Khloe, as she expressed her concern over Bruce's impending operation. Saying "I was scared, I didn't want it to be worse than what it was". It was also a little disturbing when Kris Jenner admitted that her daughter Kim Kardashian pressures her to get plastic surgery. Saying that she needs a "partial facelift of the neck". Is this normal family conversation? Enjoy the video. ewwww.....he looks like a woman....his stupid wig, nightmare face, and his earrings!!!! Makes my skin crawl!!! !